It’s often hard enough finding the right house to buy, let alone the added challenge of finding the right home loan. However, while there was once a time when home loans were largely generic, nowadays, banks and lenders are offering a range of options to both create a suitable product and attract your business. What Do You Need out of a Mortgage? Tooele Title Company knows that it isn’t easy finding the right mortgage, especially if you aren’t sure which options are in the market and what they mean, and has prepared some information below to help. A very popular feature sought by homeowners is the ability to redraw against additional mortgage payments. For example, if you paid an additional $1,000 every month to your mortgage then this would lower your outstanding balance and, in turn, the amount of interest you pay. However, if, in six months time you experience an emergency and need to access money, then you would have $6,000 available to withdraw as cash or transfer to an account. While it’s certainly a convenient function, it’s often one which comes at a cost or, at the least, some terms. If this feature appeals to you, be sure to do your research. Nowadays, workers don’t conform to the traditional model, where people go to work for the same employer for a longer period before retiring. 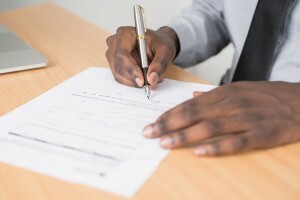 This can often pose a challenge for potential home buyers who aren’t able to provide the level of documentation required during a traditional loan application. Many lenders are becoming aware of this and have begun to offer a range of low-document loans. The applications for these loans are more geared towards those with fluctuating income or income from a source other than permanent employment. While, on the surface, it can seem like a great option for those who want a more streamlined application or don’t want to provide a lot of documentation, the terms of these loan types aren’t always as lender-favorable as a regular loan. In addition to your lender requiring a title insurance policy, title insurance in Tooele can also provide homeowners with financial protection. To learn more about the benefits of title insurance in Tooele, speak with an expert at Tooele Title Company by calling (435) 882-1120. There are two types of interest when it comes to a mortgage. As the name would suggest, the interest rate applicable on the mortgage can vary in line with property and financial markets. Both up and down. This can mean that for a period of your loan you will be paying a lower amount of interest than is the market average, however for another period be paying significantly more than the average. Whether it works in your favor or not, it’s worth noting that variable type rates are the normal rate for a home loan, because they work in line with the market which can help protect lenders. The name can often mislead homebuyers into thinking that the interest rate applicable to their home loan will never change. However, what it means is that it won’t vary throughout the life of the rate lock. For example, a variable rate interest rate may change a number of times throughout the year, however, a fixed interest rate will remain at the agreed number..
Additional repayments are not accessible. A fee is charged for each repayment above your schedule. Because of these two points, consider whether this is a function you will want and whether its availability will determine your mortgage choice. Once you have found the right loan for you, remember that your lender will require title insurance in Tooele to protect the investment. To find out more about title insurance in Tooele, speak with an expert at Tooele Title Company by calling (435) 882-1120. Available only prior to settlement, title insurance in Tooele can provide homeowners with financial protection against the ownership of their home.